Whether it’s a home you plan to occupy or an investment property you are looking to buy the odds are you’re seeking financing to make the purchase. Let’s look at two key ratios the banks use to decide how much you qualify for. You are going to have all of your regular items the bank wants to see – i.e, credit score, employment history, assets, liabilities, etc. However, they will use this and the information on the property to run a couple formulas that really drive the decision. This ratio takes all of the potential expenses for the property you want to buy – items such as mortgage payment, taxes, insurance, etc. The total of those expenses is then divided by your gross income and multiplied by 100. The industry standard for banks is a front-end ratio of 28% or less. For FHA loans the ratio is 31% or less. 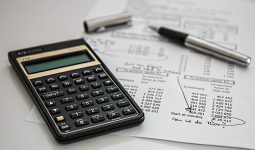 This ratio functions similar to the front-end except instead of adding up the property expenses it adds up your personal monthly recurring debt. Recurring debt is things such as credit card payments, student loan payments, child support and any other loan payment you may already have. The total of all those items is then divided by your gross income and multiplied by 100 to get your back-end ratio. Most banks do not want that ratio to exceed 36%. However, lenders do make exceptions based on credit score or cash reserves set aside. Now that you understand these ratios you can get your ducks in a row and find the financing to buy that property! Note: this applies to traditional financing. When you get into commercial or private lending on an investment property, then items such as debt service ratio play a big part in qualifying. You can use the scaredycatguide property calculator to derive debt service ratio (DSCR) along with much more!